We currently operate out of Perth and Melbourne. Click below to see if your venue is within our service area. To find the best prices and availability, simply start the online booking process! For bookings of more than 1 hour, more than 26 kids or just outside our service area, please call the office on 0429 770 277. Back in 1991, two of Australia’s finest elite gymnasts, Suzette Johnson and Grant Carlyon, finished competing on the world stage. Thankfully, Suzette and Grant were not lost to their beloved sport, with the pair opening a gymnastics academy for kids in North Perth. They were also GymNut comedians, providing the entertainment at local and international sporting competitions, including the Perth Wildcats’ (National Basketball League) half-time entertainment and the 1994 World Gymnastics Championships held in Brisbane. However, it was three years later that these two big kids, Suzette and Grant were to make their greatest mark on kids gymnastics and the kids entertainment world. They were involved in the creation of a Double-Decker Kids Birthday Party GymBus, the first of five, which took six months to design and build. An exciting new venture had begun and since that long-ago day in 1994, the kids party bus has driven nearly a million mile to put smiles on over a million kids around Australia. 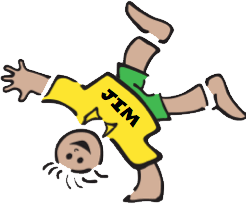 All for kids to experience the Magic of GymBus at Holiday Programs, Kids Birthday Parties, Shows, Festival, Fetes and School Fairs. So what is it about the Kids Party Bus that keeps the children coming back time and time again? Is it racing their friends up the ladders and down the poles, is it exploring the secret tunnels and hiding from their friends, is it swinging fiercely into the foam pits? Whatever it is, the kids love it and the parents love it too. Our passion is to bring excitement to the kids and light up the atmosphere with fun and entertainment and to put smiles everyone’s faces, wherever we go. 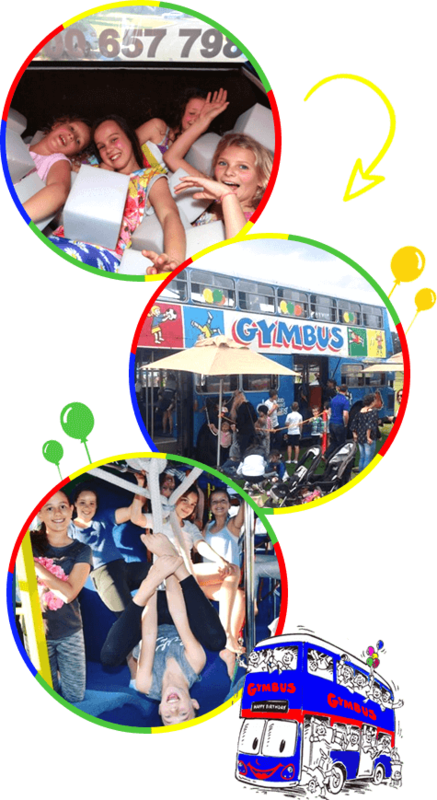 GymBus is a unique experience catering for whatever kind of birthday party, event or holiday program you could imagine. Rain, Hail or shine we guarantee the kids will love it and won’t want to leave. So have a look around our site and we look forward to seeing you soon. Cool Bus & Great Team of People!